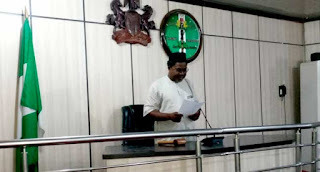 The Benue State House of Assembly has impeached Terkimbi Ikyange as its speaker. 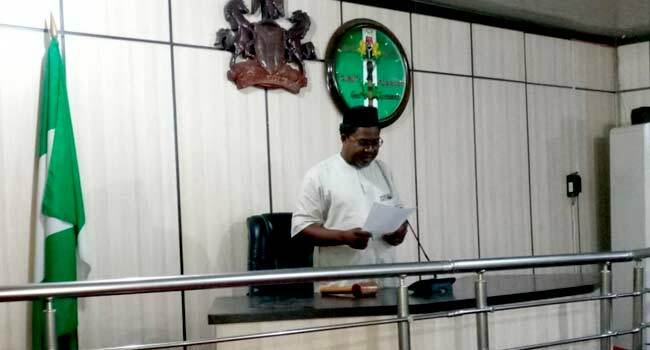 Ikyange who is a member of the All Progressives Congress (APC), was impeached after a motion of no confidence was moved by Honourable Richard Ujege, who represents Konshisha state constituency. The move was backed by 21 members out of the 30-man Assembly. Meanwhile, shortly after, the assembly elected Titus Uba, the lawmaker representing Kyan state constituency as its new Speaker. A new Deputy Speaker, Honourable Egli Johnson Ahubi who represents Otukpo/Akpa state constituency was also elected.